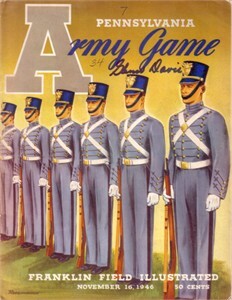 Original, complete 1946 Army at Pennsylvania college football program autographed on the cover in blue marker by the late Glenn (Mr. Outside) Davis, who won the Heisman Trophy while leading Army to the National Championship that season. 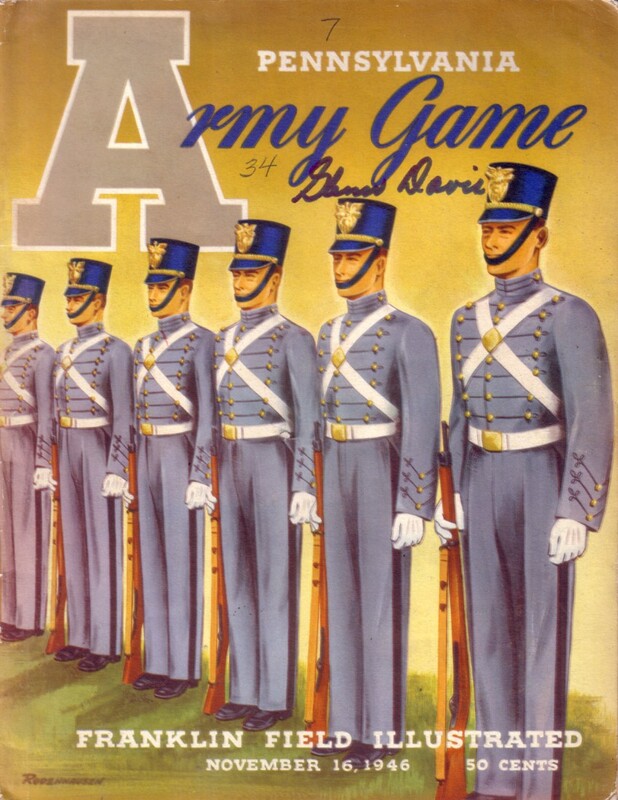 Program has moderate wear, and the original owner apparently wrote the final score in ballpoint on the cover (Army 34, Penn 7). ONLY ONE AVAILABLE FOR SALE.